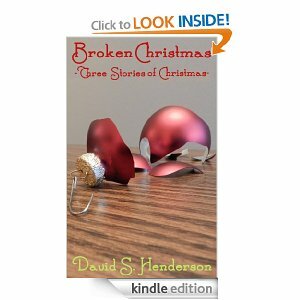 Broken Christmas is a compilation of short stories centered around Christmas. Each story has its own feel and its own details that make them special in their own ways. These stories are heartwarming and also heartbreaking all at the same time. It is a great Holiday read though. It makes you grateful for what you have. Now that it is the day after Christmas, and some of you have gotten some new reading tablets, I would suggest taking just a moment to relax and read this book. The stories are short, so it won't take long, but it will be worth it! 5/5 stars. All three stories were interesting, and none of them stood out more than another, they were all great.